Are you procrastinating because it simply seems too big a task? Then you obviously haven’t tried our easy step-by-step guide for painting garage floors. And don’t waste money paying a professional; painting your garage floor can be a fun and fast DIY project. 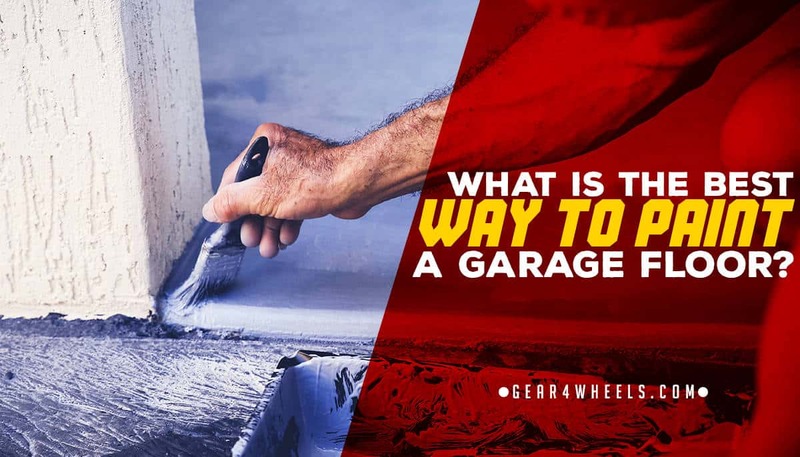 Below is a comprehensive guide to painting your garage floor. We cover relevant aspects such as preparation, because it determines the outcome of your project. But when you get it right—and it’s easy to—your floor will serve you well in the long term. Because that’s what you want, right? Quality flooring so your garage presents well and is easy to clean. Here’s how you do it. Do You Have Your Tools Ready? Did You Prepare Your Garage Floor? Don’t start any DIY project without having all your equipment ready. You’ll waste time if you have to look for them in the middle of your painting process. Stalling can even cause problems if the paint you use has strict procedures and timelines for use. What is the best way to paint a garage floor? It’s all about preparation. Most experts call this the most important part of painting your garage floor. But don’t let its importance scare you off. Just don’t skip this part. It makes the rest go faster and can extend the floor’s lifespan. Taking these precautions guarantees you’ll love the final product of your hard work. Ready to start painting? What do you use your garage for? Your answer tells you what kind of paint to look for. Did you know paint products labeled as garage paint take into consideration the weight and movement of your vehicles? The paint is designed to stick to the floor and not to the wheels of your car, despite the pressure. If your garage is only used for practicing hobbies or as a workshop, the requirements are different. Then you can consider paint for basements, homes or other uses. A popular garage floor paint is a product which contains epoxy. Epoxy forms a protective layer on the cement and helps the floor handle the pressure of heavy vehicles. Yes! Your paint can make your floor stronger! Do you see why you shouldn’t simply leave the cement as it is? 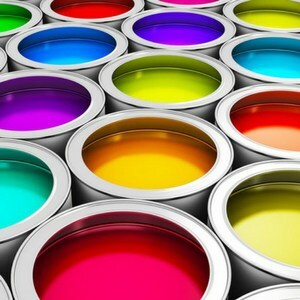 Paints containing epoxy—and many other products—require you to mix together different substances. You usually receive two containers that need to be added together. 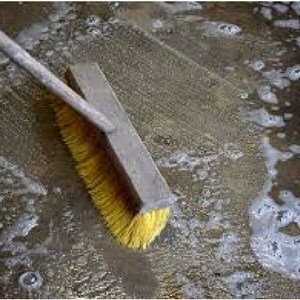 Mixing them sets off chemical reactions which add to their efficacy in bonding with your cement floor. Don’t stress about the detail. Most paint manufacturers ensure you have a user-friendly experience. Directions will be set out on the paint cans. 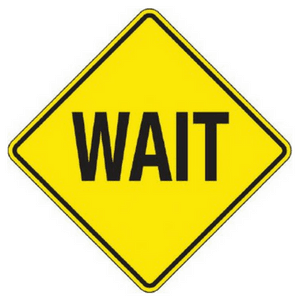 Do you have a safe place for your vehicles and garage equipment if the project takes more than one day? You must plan your day well. You saw you need time to let your floor dry during preparation. And this waiting will happen a few times during the project. At this point you usually wait a few minutes for the chemical reactions to take place and the paint to settle. Then you’re ready to go. Important: Many paints are only usable for a certain time after mixing. Once it’s ready to use you must work as quick as you can so you don’t waste paint. Yes, even your garage floor deserves a primer. Why don’t we treat our garages as well as our homes? Doing this will add value because your paint will bond better with the cement. But once again you have to wait for it to dry. You probably want to jump in and start painting, right? But being systematic will save time and prevent mistakes. Paint the edges of your garage first, using a brush. Now your garage looks neat and you don’t have to lean over wet paint to reach spots the rollers don’t cover well. Here is the method you can’t ever ignore: Work in sections. Paint squares of 4’x4’ at a time. Focus on a square so you don’t miss any spots. It also helps if you don’t have to lean too far over wet paint. You risk stepping into it. Start in a corner furthest away from the exit and work your way systematically towards this door. You’ve seen the jokes of people painting themselves into a corner, right? Don’t let it happen to you! And guess what. Now you have to wait again. The paint must be dry before adding another coat. Not all professionals add a second coat. With a quality primer it’s not always necessary. But if your budget allows for this, it’s best to invest in more paint and do this. It will add more shine to your floor and increase its durability. You can use the same process as before. Remember, don’t cut corners because it’s a lengthy process. Your effort will be worth it! Are you looking for that “X-factor” in your garage? Yes, it can look as stylish as the rooms in your house. Decorative flakes can be sprinkled on top of epoxy paint. This will have your floor resembling marble and your neighbors will think you had your floor professionally done. It will bond with the paint and you don’t even have to add another layer on top. But how do you get an even effect? Sprinkle it on top of the second coat as you finish each section and duplicate your sprinkling movements. You can place the sprinkles in a discarded seasoning bottle. If the holes are big enough to let the pieces through, it will help spread them evenly. Now it’s time to wait again. And you must keep to the times stipulated on the products. Some paints won’t be safe to walk or drive on for up to three days. If you do, you’ll ruin the stunning job you just completed. Unsure about anything? Here are some questions we know people love asking. An average sized garage can be painted in one to two hours but drying and curing determine the final timeline. Usually you should see this as a weekend project, rather than a quick DIY task for a Saturday morning. Ready to start painting? You can see it’s not so difficult if you know all the pitfalls, and we mapped them out for you. Now you can paint your garage floor like an expert.